Well April, what a doozie of a month you have been? Crazy weather, from the UK seeing both a heatwave and a snowstorm threat, to Melbourne and its classic four seasons in one day (at the moment I am literally waking up to frost, then applying sunscreen to go out in the afternoon). A Royal baby has been born, everyone seemed to have an opinion about Kate posing for pictures. Then we’ve seen a spate of celebrity deaths, RIP all those who passed – Dale Winton, I’ve always thought of him as the champion of the novelty inflatable- How ahead of the trends was he? During transitional seasons, skin needs can vary on a daily basis. I know i’m babbling on about the weather, I’m British, you can’t be that surprised? Well, I go on because the weather can play havoc with our skin, especially when it is changeable. As a result, I’ve been focusing on using products that are multi-functional and can adapt to my skins needs. All the products in this months review have been kindly gifted, this in no way alters the opinion I’m giving. The thoughts expressed are 100% my own and unlike my Instagram pictures, these opinions are completely unfiltered. I wouldn’t recommend anything to you guys that I wouldn’t recommend to my mum. This day cream is specifically designed to target hormonally stressed skin. My skin isn’t hormonally stressed. My skin is having a hormonally charged crisis. The week before my period my chin becomes such a mountain range that I should set up a just giving page for tackling it. The introduction of a completely new skincare routine some months ago has seen marked improvement (I mentioned all the skincare products I’m now using in my February & March Beauty Review). 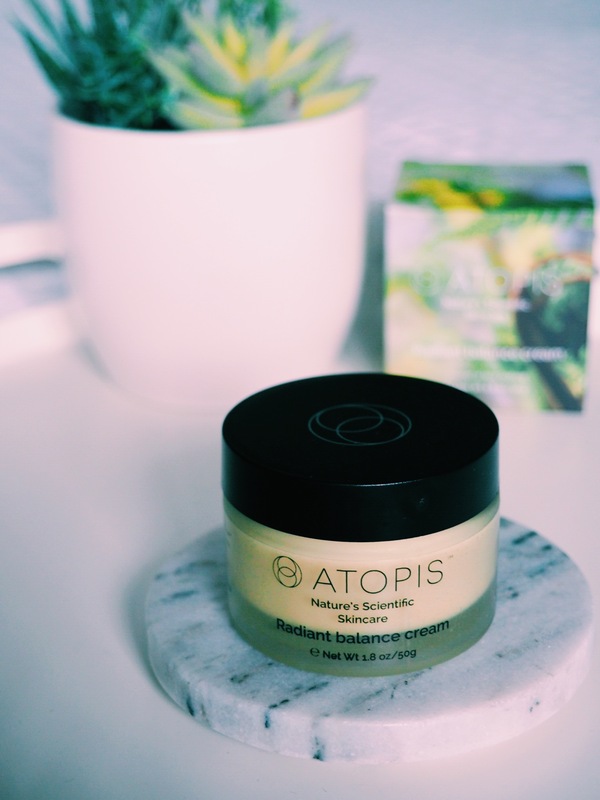 However, when my skin becomes “hormonally stressed” I now reach for this cream, leaving one hand free to reach for the chocolate, obviously. * Regenerates sun damaged skin, increasing cell renewal and finally it neutralizes free radicals (the everyday nasty buggers that contribute to accelerated skin ageing). Ive used this at the first sign of a hormonal breakout for 4 months. Whilst I still experience the odd hormonal breakout, they tend to be more like small pimples rather than a snowcapped, charitable, climbing challenge. This day cream has a texture like no other, its like a serum, mask and cream hybrid. It feels very rich to apply and is absorbed like a serum- no excess product left hanging around. I think its going to last a while as the 4 weeks of use has not even made a dent. Though I’ve only used it sporadically to address hormonal breakouts, it is suitable to use daily. Additional benefits are that it is not tested on animals and is natural (chemical free). This product won so many awards in 2014. It became a classic and had a cult following. I used it back then and I’m using it again now. This moisturiser is everything my skin has been crying out for. Being that person who is permanently cold, I live with the heating on full blast. Air conditioning/central heating units are so incredibly drying. 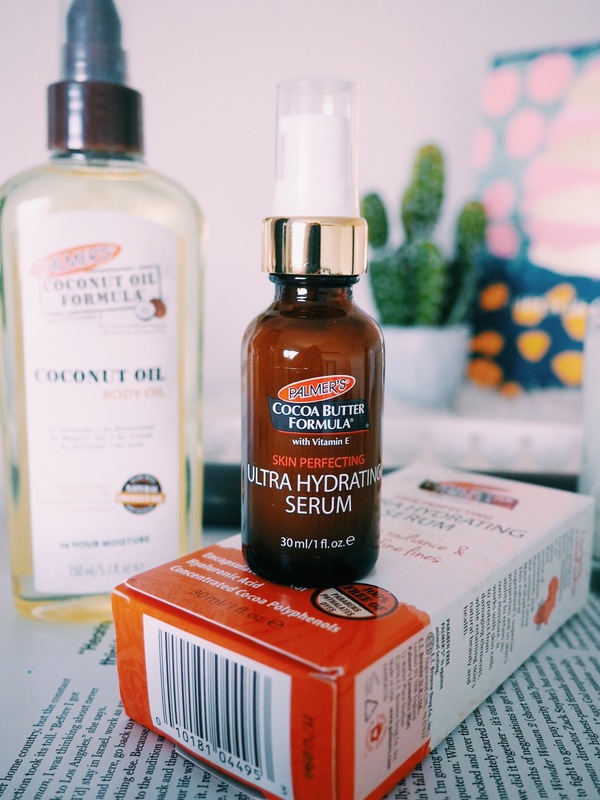 This formula, developed with pure cocoa butter, literally melts into the skin on contact. It also contains added vitamin E for skin soothing benefits. I think the reason I stopped using this lotion is because I was seduced by other branded packaging. If its wrapped up pretty, chances are I’m trying it. Im like the Magpie of the beauty world. The reality of this product is that it doesn’t need all that. Fancy it isn’t. Effective it is. I’ve always been a little cautious about trying body oils. I hate the thought of feeling greasy. As far as oils go, I’ve always stuck with body shimmers that I use on holiday when I want a little extra glow on my collar bones and legs. I’ve hand brand loyalty to L’Occitane and Nuxe in this department, I discussed these products and their skin enhancing magic in my post How to give cellulite the brush off. This product is liquid gold. Its a total dupe for the L’Occitane Almond Body Oil, at a fraction of the cost. With a scent and texture that are the epitome of luxury, this oil is completely non-greasy almost immediately after application. The try magic lies with what this has done for my C-section scar. Prior to applying this oil my scar was hyper-sensitive and incredibly thick as a result of a rather eventful delivery and postpartum experience (but that is a story for another time), now my scar is soft, supple and completely manageable. Consider my scar revision surgery cancelled!! 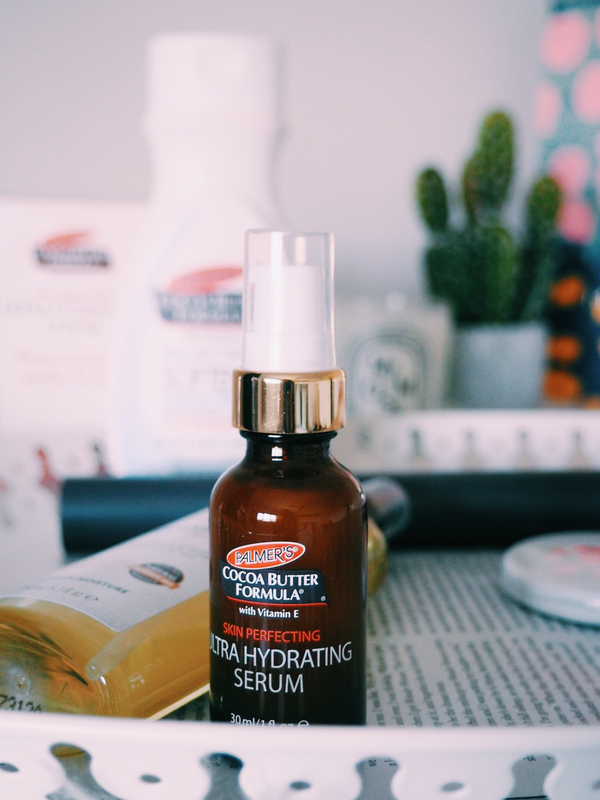 Palmers Skin Perfecting Ultra Hydrating Serum is another gem. Comparable to the Estee Lauder Advanced Night Repair Serum in every way except for the price point. Palmers win that battle hands down. I apply this each evening after my Oil Cleanser and Foaming Cleanser combo (all links in my February & March Beauty Review) and I follow with a full facial massage using my Facial Roller. My skin is fresh and plump and I fully expect to start being ID’d at the checkout. Does your skin change with the weather? Is there a word that whenever you see it, it instantly takes you to a song? Enjoy the season change and be sure to wear SUNSCREEN. My skin is just forever oily and I’d buy any product under the sun that swore to tone it down!